Beautiful Villas With All The Luxury You Expect. Our Deluxe Villas are being designed for all occasions with spacious rooms throughout and a beautiful poolside area to enjoy. Our Deluxe Modern Villas will provide a home away from home that make vacations a memorable delight. Some may decide to keep the vacation going all year long. Our Deluxe Modern Villas will be built to accommodate all occasions. With spacious rooms throughout and one of the most beautiful patio poolside areas to enjoy. 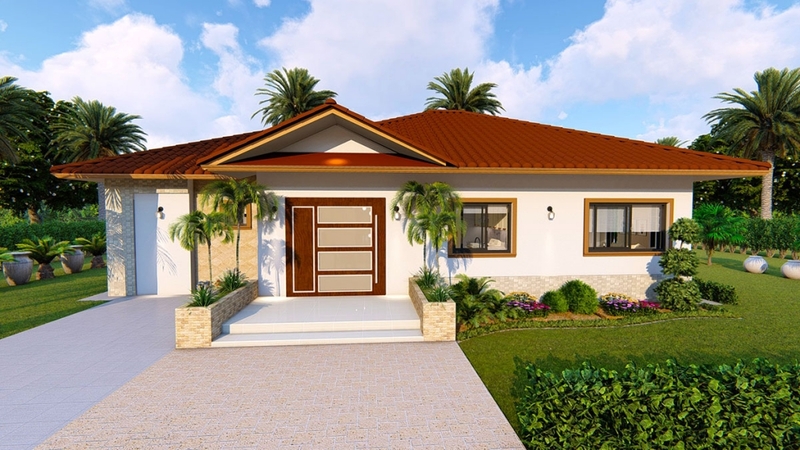 This Deluxe Modern Villa architectural design is being planned for all occasions. With spacious rooms throughout and one of the most beautiful patio poolside areas to enjoy. What makes this Deluxe Mediterranean Villa unique is how our architects are planning a very open feel to the floor plan and still offering 3 bedrooms and 2 1/2 bathrooms. See more information below. This villa design will offer many quality materials all used throughout the interior and exterior. Arched windows and a very open floor plan makes an elegant statement.